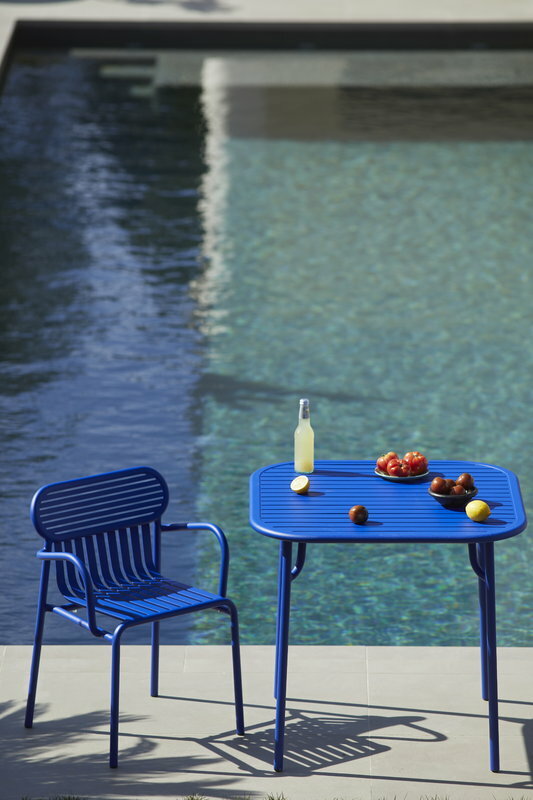 Week-end bridge chair is part of Petite Friture’s collection of aluminium outdoor furniture. 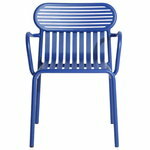 The attractive armchair is characterized by oval shapes with both horizontal and vertical slats on the backrest. 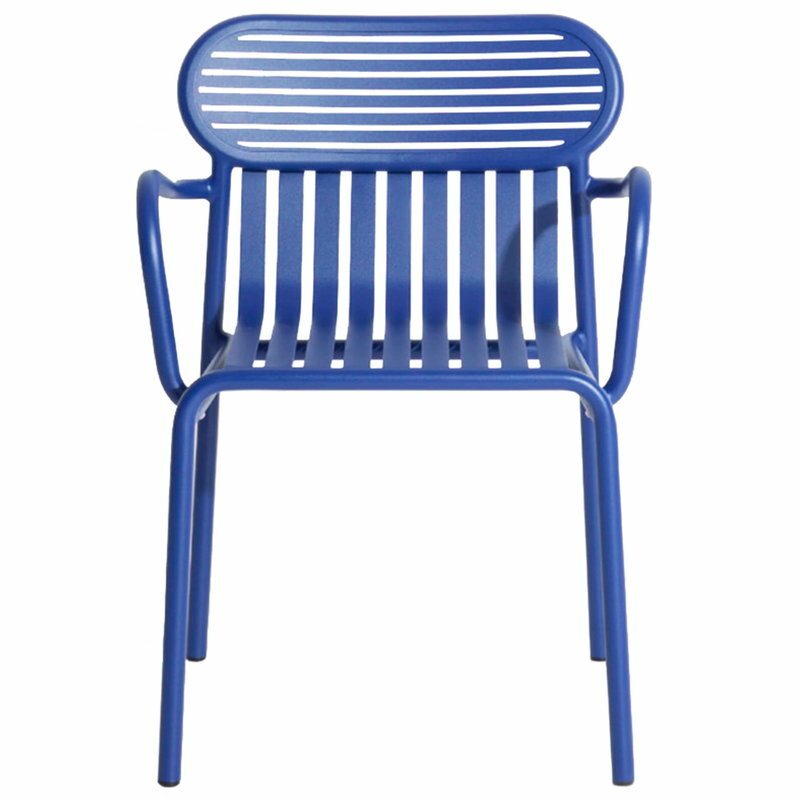 All the chairs of the Week-end range are stackable. 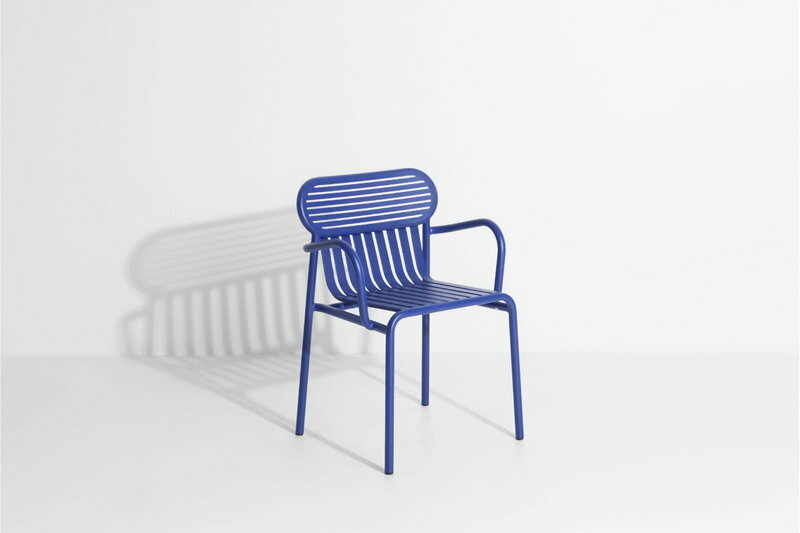 Created by the design duo BrichetZiegler, Petite Friture’s Week-end outdoor furniture combines different geometrical shapes with functional, contemporary design. 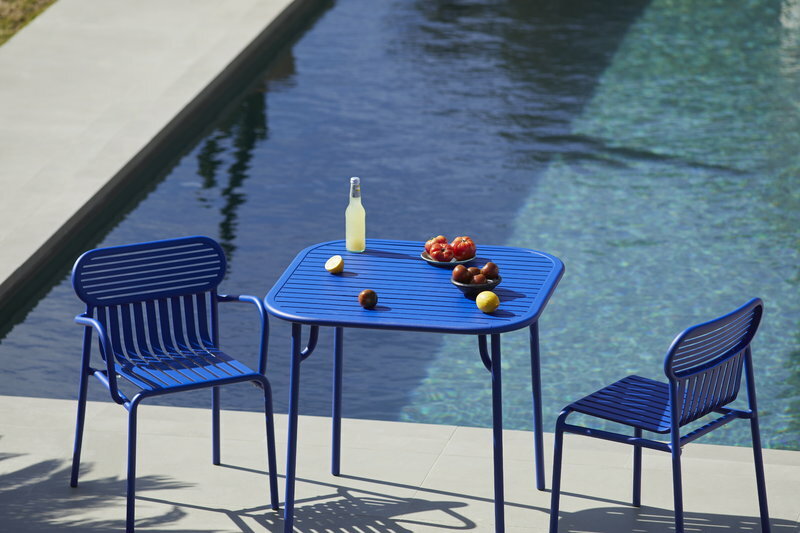 The aluminium structure makes the pieces lightweight and hardwearing at the same time, and the epoxy-coated matt surface stands easily any weather. Week-end range consists of chairs, benches and tables in many colours and sizes, and is thus suitable for large gardens and small balconies alike. 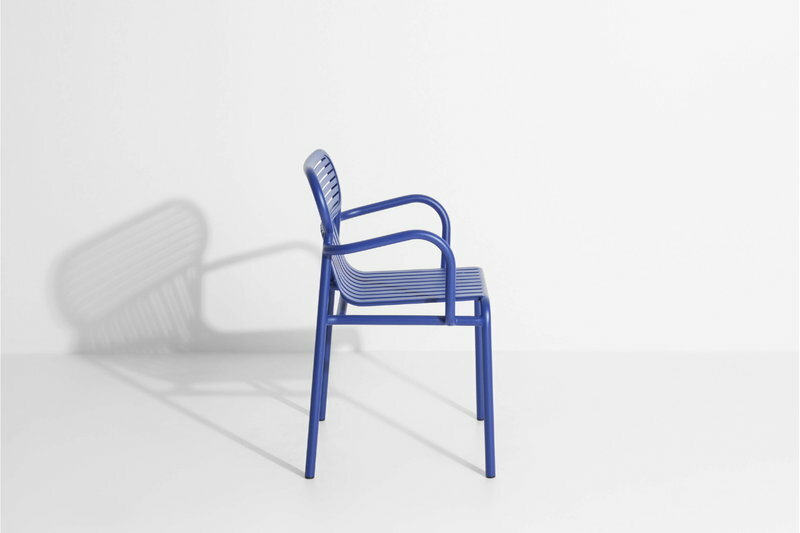 Thanks to the sleek design, the pieces can also be used indoors. 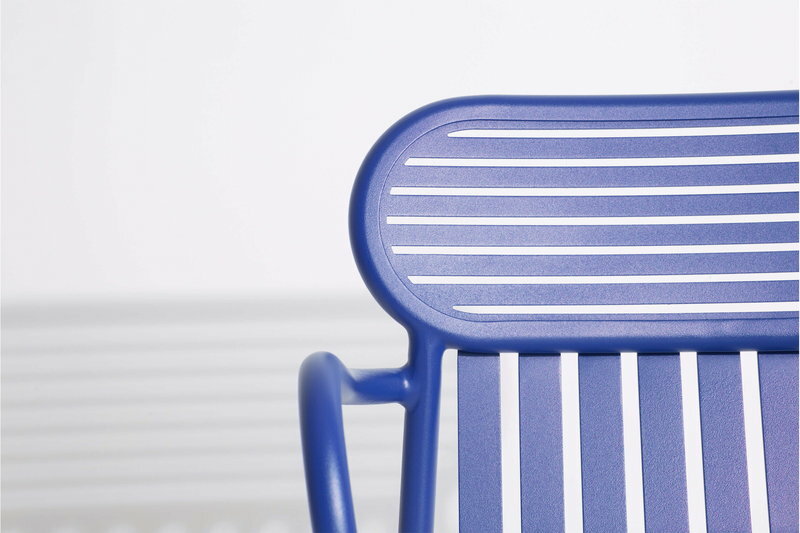 Anti-UV powder coating for outdoor use.